Since Outlook's Launch, How Does It Compare to Gmail? Microsoft knew that their email service, the seemingly arcane sounding Hotmail, had to go. That's why with last month's introduction of Outlook, the new service has taken over to a more welcoming and successful place for Microsoft. From my perspective, the features and aesthetics of Outlook can easily hold a candle to the overwhelmingly popular Gmail. Let it be known that I was a Gmail user for a long time who fell for all of the conveniences and features that was offered by the service. However, after a while, I felt that I was under the grasp of Google perhaps a little too hard. When you look at all of the users behind Gmail, it looks like they don't mind the large deep field look that the home page gives. Almost everything related and user-friendly exists on Gmail – Maps, Docs, Images – basically Google all in one. That's fine, and yes it is a very easy, but sometimes I don't want Google involved in every part of my Internet activity. That is where Outlook takes the overbearing stress off, and is pretty good with giving a bit more ease and practicality behind emailing, which is what we really just want to do in the first place. One of the bigger features of Outlook would certainly be its cleaner, more friendlier user interface. Between the practice file and folder placement to the drop down menus, it's all accessible without having to be too much to look at. 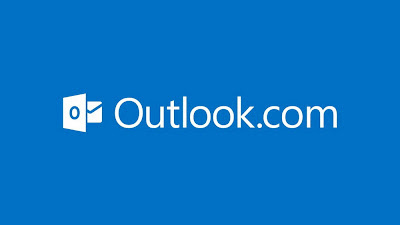 There are obvious allusions that Microsoft made towards Gmail when designing Outlook. From the settings toolbar to the top right is positioned in a mirroring fashion of Gmail, and the both drop down menus will make you go to another page. The setting options on both are more-or-less the same in what you can do. You also have to consider the higher level of integration that Google has put with other services (now with Google+ and Hangouts). Since Outlook is more email-centric, the settings are more particular to emailing in itself, with other options available on the main page. The folder sidebar to left, which is really the email standard anywhere you go, are also extremely similar on both services, but of course not exactly the same. They are similar in that the main folders are the basics – inbox, deleted, junk – all the good stuff. Where Gmail differs is the incorporation of Google Chat, which can have some drawbacks, since you'll see usernames of people show up that you may have just emailed once. If you have Google+, you'll see your “Circles” if you want. Looks like Google will push that to the very end. So basically, the accessibility of Outlook is what won me over. It delivers exactly what you want to do, and that's to send emails. The graphics and content are separate enough and easy on the eyes, which is something I really value. Some say that everything is too bare looking, too simple, but I think that's a lost art these days. It's worth giving a try, even if you're a solid Gmail user. Both have their benefits though. Doug Glaston is a writer in social media, entertainment mediums such as Direct TV, and more. His writings can be found on a variety of blogs in technology and internet.